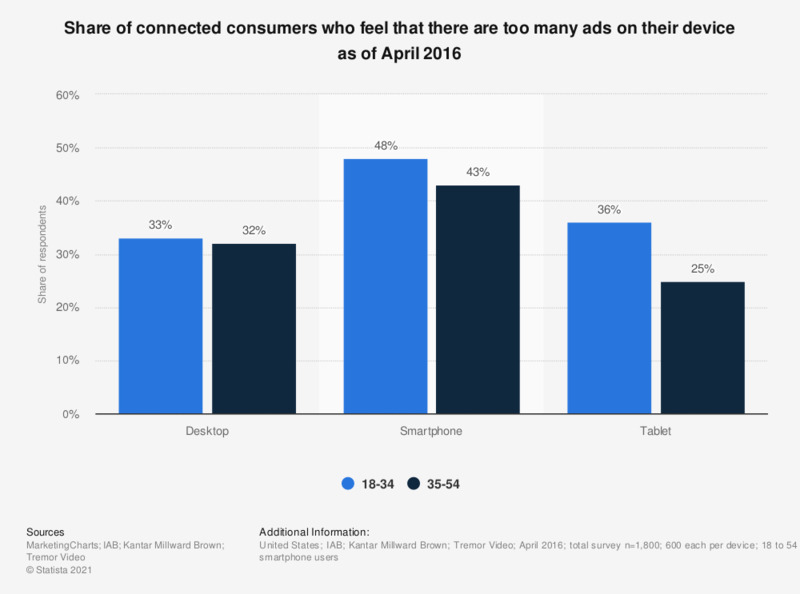 This statistic presents the share of connected consumers in the United States who feel that there are too many ads on their device as of April 2016. During the survey period, 48 percent of respondents aged between 18 and 34 years stated they came across too many ads on their smartphone. Which of these statments do you agree with about ads on your computer/smartphone/tablet? - There are too many ads on my..